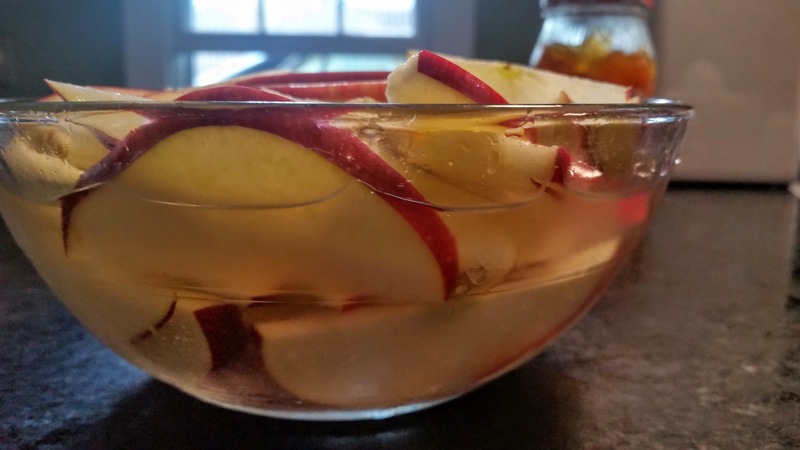 Whatever recipe you go with, there are a few mistakes I made that I want to share with you. I thought I was slicing them thinly but apparently not thin enough. 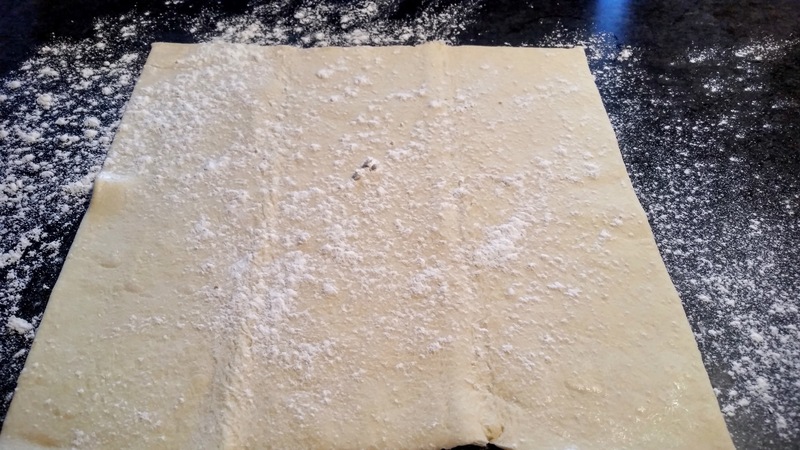 As you’ll see in a minute, if they’re not WAFER thin, you won’t be able to roll your puff pastry. Use a mandolin and save yourself a lot of grief. 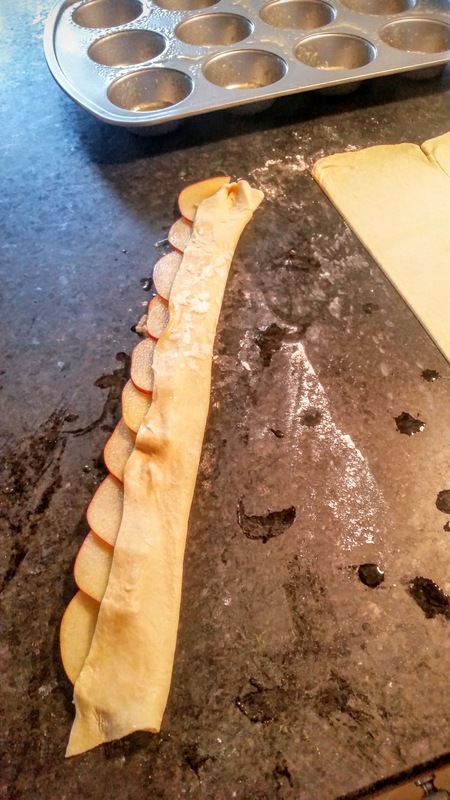 Rolling out the puff pastry and cutting it into strips was very straight forward. 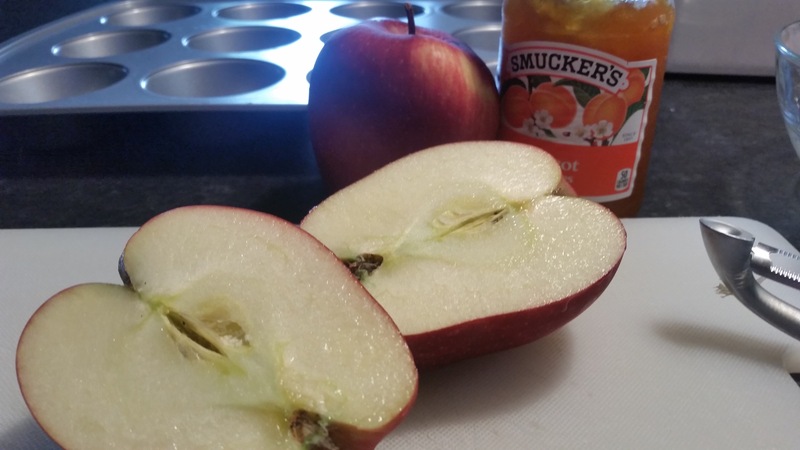 Second issue….and this is purely my opinion, but using just approcot preserves or marmalade, as the filling, didn’t provide enough sweetness or flavor. 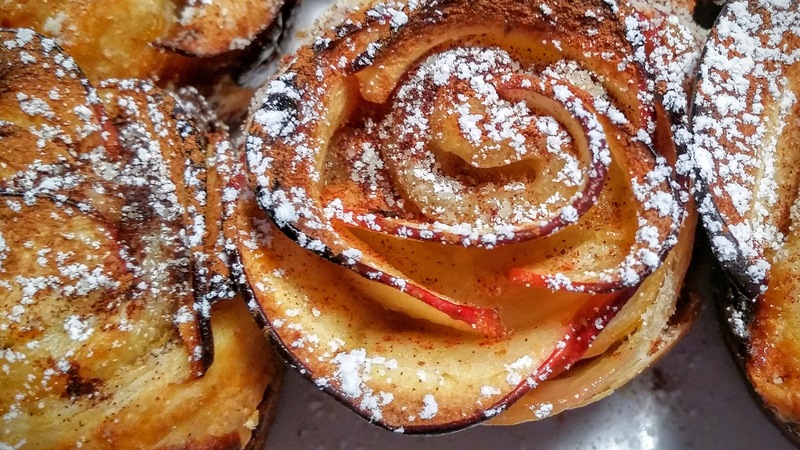 Next time, I’m going to use a mixture of brown sugar, all spice and a little nutmeg. 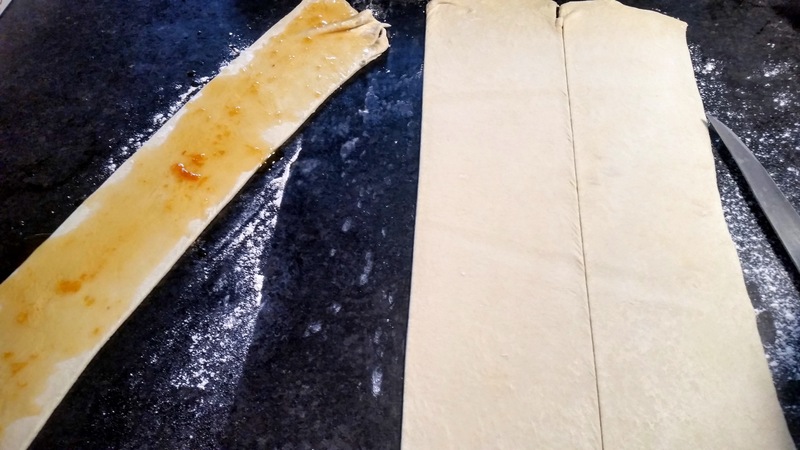 This will also help keep the puff pastry moist. Ok, so here’s where using a mandolin comes into play. If they’re not thin enough, they won’t roll. Common sense…..but apparently I wasn’t thinking. 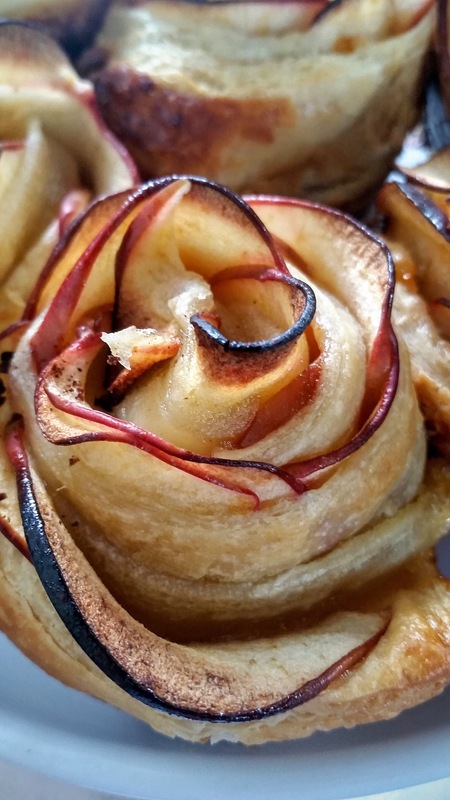 Third and final thoughts on this recipe….the temp was fine (suggested 375) but I soon discovered my pretty little roses were burning. I highly recommend baking them on the lowest rack. 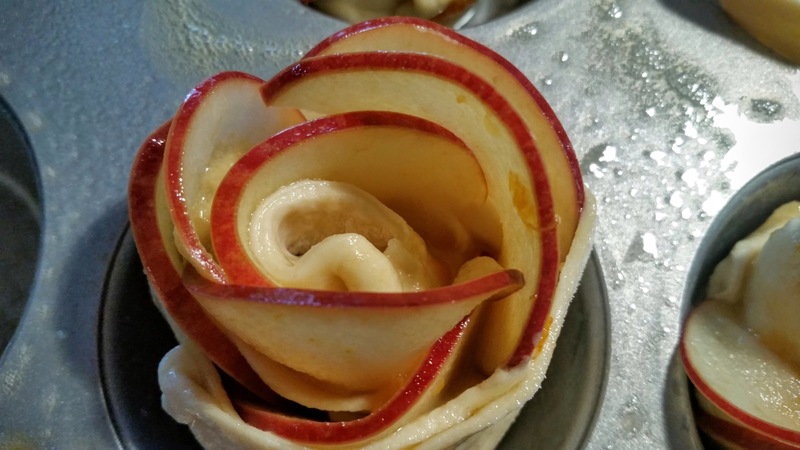 So a few tips, from me to you, to make these just a little tastier!! Definitely check out this site for the perfect instructions.